Lissan House & Demesne is an historic country house, nestled in 267 acres of undulating parkland and forestry in Co. Tyrone. Family seat to the Staples family (Baronets of Lissan & Faughanvale cr.1628), from 1621 – 2006, the house still retains its seventeenth century core, with later extensions to the property adding to its organic and visually stimulating interior and to a now extensive 49 rooms. The house boasts the only ‘Arts and Crafts’ staircase of its kind in the world, and a large regency ballroom. The house is now in the ownership of the independent and self-supporting charity, Lissan House Trust, formed in 1997 by the last of the Staples of Lissan, Mrs Hazel Radclyffe Dolling. 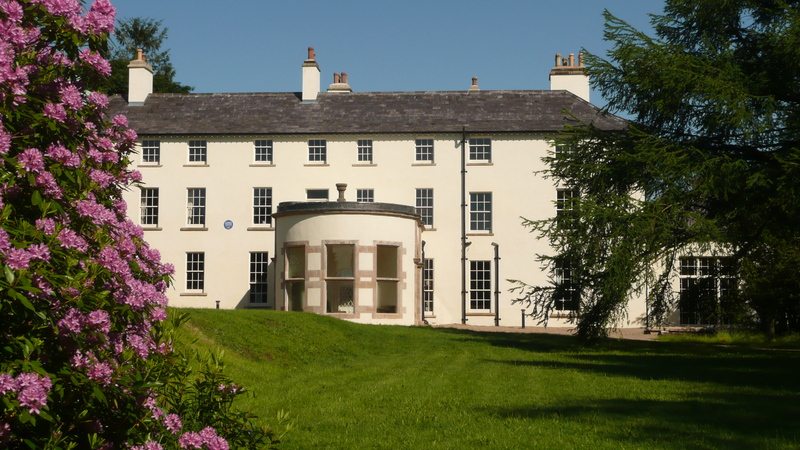 Also in the ownership of Lissan House Trust is a significant archive of Staples family papers dating from the C17th – C21st, most of which is on permanent loan to PRONI. A small remainder of family papers are held in situ at Lissan House. All generations of the family are represented in the archive, perhaps most notably Sir Robert Ponsonby Staples, R.A., society artist, social chronicler, and barefoot walker. Lissan House Trust is a registered charity, and continues to uphold and promote its mission statement that the house and estate should be preserved and restored for the public benefit. The house is open each year for guided tours, events and wedding hire. The Trust is keen to support research opportunities and to collaborate and engage with other institutions, groups and individuals.